OMG OMG OMG!!!! LAST NIGHT WAS LIT! So, after a year apart cause we're an LDR couple, finally we met AGAIN! I don't know where to start tho... there are just a lot to tell! But lemme try to conclude all I can. Btw, blogging this while waiting for my vlog of last night finish saving after editing it. Do watch it too yeah! I'll give the link or will insert it here later in this post. Yesterday. 170727, Thursday at 1930. They performed 17 songs in total where as I know they are supposedly to sing 15 only. They came out and performed 3 songs and then introduced themselves and we do some talking while they sit and I think it was the Q&A session too? (NO!!! IT'S FADING!!! Lol no it was just me, I tend to lose some memories everytime after the concert lol. Went totally blank!) 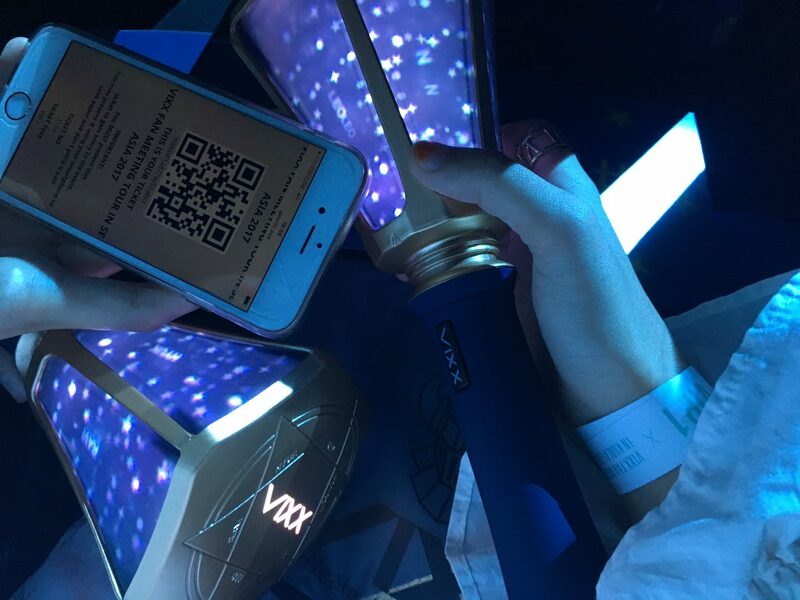 Each of the members pick up a random question Starlights posted and they answered it. Wait I think they performed another 3 songs after some introductions then they did the Q&A. But for sure after Q&A they then performed Someday and Us Now or was it before Q&A then? Lol yeah I think before. Cause they were sitting, so it's either. ahhhh mian~ I listed down the songs they performed but not the whole sequence of the night. 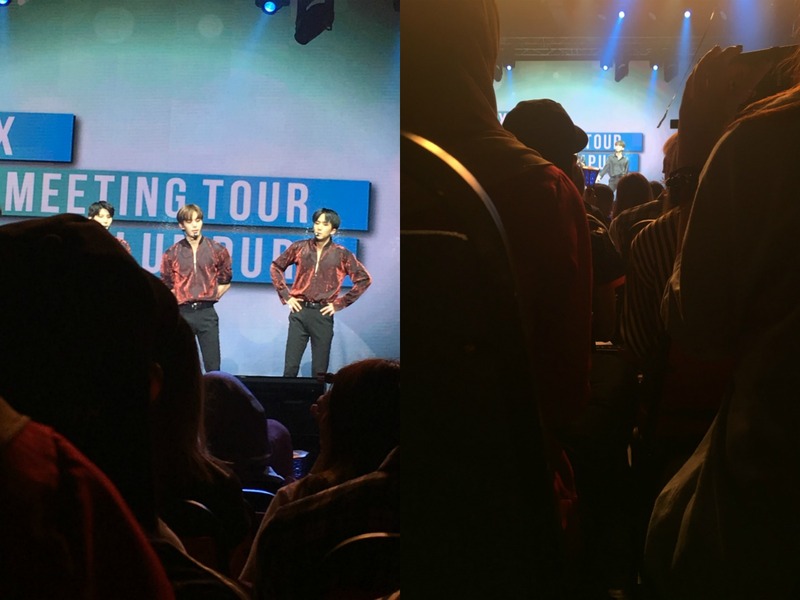 After that, a VCR was shown on the screen to of course spare some time to change their outfits. But wait again, they played the games in their next outfit which is the one I mentioned that they change during the VCR. So probably the game is after this? Hahaha sorry this post is sooo random now. I can't remember the sequences but I remember what they did so that was okay tho ㅋㅋㅋ And I know that I really enjoyed it! VCR ended and they performed Shangri-La till Voodoo Doll. I think the game was between these performances. They said their goodbyes after Voodoo Doll but we all knew that as long as the light is still dim means there'll be more stages heee. Yeap, after they changed to their comfy favourite shirt which has their names on it... they performed Heaven and Love Equation for encore and goodbye stage! But yassss! I bought VIP1 ticket which entitles us to get a photo op and we were just waiting for our turn after VIP2s hi-touch session. Annddd this is the most fun part! Haha. 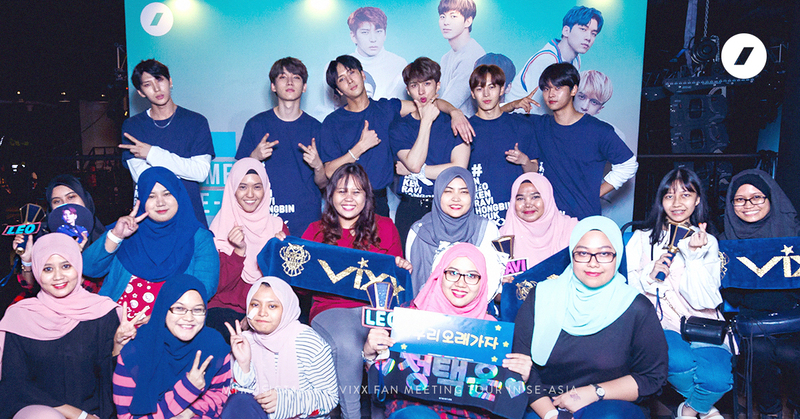 My Starlights mutual and I kept trying to be the last group for the photo op which they divided us into 15 per group and luckily our group has 14 people and we get to be in one group and we at least were the 2nd last group to take photo. I guess that's all! I'm still sooo excited and getting to feel the post concert feel already which can last for weeks! ㅠㅠ Thank God it's Friday! Fact: I bought the ticket a day before the show cause we originally didn't plan to go as it was all standing but a week before the show they announced that VIPs will be seated so yeah, can't ignore no more!